I had a productive week this week, which allowed me to save quite a bit towards our spending money for our trip in June. It's not far off now, and we're getting a bit excited! 1. I did so much decluttering in the kitchen to gain some much needed space for storing my baking bits and pieces. Then I combined all of my alternative GF flours into a GF flour blend pre-mix (like a Bisquick mix or the Bake Anything Mix that we Aussies know) which I'm now using for everything from pastry to crepes to use in place of lasagna sheets. I'm baking some currant and cinnamon scones using this today. I'll replenish this as I go along as it really cuts down on preparation time for scones (biscuits) and pancakes for snacks too. Savings of perhaps $15 on similar snacks or makings of meals. Mix dry ingredients together, then process for 30 seconds in a food processor, or use a knife to cut the margarine into the mix and rub it through with your fingertips. Store excess in the fridge. To 2 1/4 cups baking mix, add 2/3 cups milk or cream or even just water. Mix well quickly, without over working the dough. Tip out onto a greased and floured tray, and press lightly into a 5mm (1/4 inch) slab on the tray. With a very sharp, pointed knife, mark into 9 squares, by just cutting the dough enough so that it bakes with a line for you to cut later. Bake at 200C (about 450F) for 20-25 mins until risen. Remove from the oven allow to cool, and cut into portions. Serve with jam and cream if you're an Aussie, or butter and gravy if you're from the Northern Hemisphere! To 1 1/2 cups baking mix, add 1 egg, 3/4 cup water, 1 egg, and 2 tablespoons melted butter or oil. Cook in a non stick frypan over high heat, flipping once when bubbles appear on the surface. 2. I made great lunches and afternoon teas for my daughter for school, and also discovered that you can buy PowerAde which is a electrolyte replacement drink for sportspeople, not a caffeine and guarana laden thing like some of them, in powder form. My daughter had been complaining of cramps as she is very busy with Dance and theatre just now, and her ballet teacher suggested this as a solution. Who knew? It's worked brilliantly. Now these are around $4 for a 600ml bottle already made up, but if you buy the powder, it works out to just 78c for the same amount. Sure you don't get the dinky bottle, but our girl doesn't care! So that's a huge saving. Again, I always rate this at $20 a day, but perhaps with the PowerAde added in, it's more like $30. Two PowerAdes a day when my daughter is busy and it's this hot here, is not unrealistic. 3. We didn't succumb to takeaway despite being very busy, thanks to advance meal prep like marinating steaks, dicing veges, and steaming rice ahead of time. Many savings on eating out or takeaway....let's say $90 this week. 4. I made my Onion Confit which we love with the steaks, with quiche and all kinds of things. Quality of life thing....maybe a saving of $30 on a bistro dinner for the three of us? 5. And I made Cherry Ripe Fudge as a treat, which was delicious, and which provided an impromptu gift for a friend when boxed in pink tissue paper and tied with a lush pink velvet ribbon. Saving of at least $20. 6. I baked 12 Basil, Olive and Pumpkin muffins and we had those for breakfast two days running, saving money on café breakfasts. Saving of around $45. 7. And while I was there, I made a Pumpkin, Orange and Ginger Teacake which gave us afternoon tea for us and friends for another two days. Much money saved by NOT going to cafe's and instead, sitting on our gorgeous deck underneath the Poinciana trees which are just magnificent at the moment. Saving of perhaps $60 in socialising at trendy café`s. 8. I made two concessions to convenience food and used some frozen shortcrust pastry and tinned 'whipped' cream, to make tiny jam tarts for my granddaughters. One sheet of frozen shortcrust pastry, made 18 mini jam tarts. These were filled with plum jam that my daughter and I had made last week, and topped with a fluff of the cream dispensed from a can....awful stuff, but lasts forever and such fun for the littlies who love it along their finger like a caterpillar to lick! So much enjoyment for $4! Total cost about $1 for the 18 tarts. 9. In a second tiny concession (forgive me but puff pastry from scratch? Nahhh...) I made 24 small sausage rolls for nibbles and lunches. 1 1/2 sheets of frozen puff pastry, some sausage mince mixed with grated carrot and spices, baked in a hot oven....real Nanna food and the family lapped it up! Sausage mince is about as nutritious as I-don't-know-what, but gosh darned it sure tastes good wrapped in melt in the mouth pastry and tomato sauce (ketchup)! Saving of $6 on frozen sausage rolls or $20 on bought ones in a café`, I think. Long time since I bought a sausage roll! I estimate that my baking alone saved us around $200 this week. The Cherry Ripe Fudge was both consumed and gifted, saving another $50, and advance meal preparations, PowerAde mixing and decluttering, which someone else would have charged my like a wounded bull to do, would have put my daily rate this week at somewhere around $300 a day, in work that would have had to be outsourced if I was still a career girl. In total, what I achieved with Insourcing in the last seven days, would have cost me up to $1500 had someone else performed all the tasks that I managed in my week. I'm very pleased with that. Mimi I really like the idea of crepes as the layers instead of lasagne sheets. I am going to be making more crepes for layers, filling with savoury fillings etc. Also the cherry ripe slice looks gorgeous and I can picture the pink tissue and pink ribbon, how divine. Exquisite foodie gifts wrapped like this are as good as any gift! The baking mix is a great idea. Who needs packet mixes. And also it can be made as you do for gluten free or whole meal or however you like. I agree with Annabel how lovely the gift presented cherry ripe slice would have been! I loved those marbly glazed biscuits you gave me. In the gold crocodile skin box!!! Well done with other areas. Yesterday I made an Italian themed lunch just off two - we had Champagne and I told Mr Fascinata I had just saved him $400 - it's true. I will try to make your recipes! I also love saving money! Mimi I love this post, might have to pinch the bake anything recipe to put in my recipes until our things come out of storage. I know I have a recipe from Tupperware that uses a commercial 'bake anything' product in it - from memory it is the impossible pie. I will also have to search through what recipes I do have here, I am sure that my grandmother used a similar product for something as well. I had to cave last night and buy a pavlova shell - I know easy as to make but I do not have all of my baking tins out of storage and of course one that is not here is the pavlova one, also with the weather the way it is I was just dripping all day so decided to be kind to myself after a sleepover with the girls on the weekend (sleepless over) and a busy crafting afternoon with them yesterday. I am heading to a luncheon for international women's day and we were asked to take a food from our country - pavlova came to mind and for the green and gold I have kiwi fruit and passionfruit so we have the Australian colours on it. I am so into having puff pastry in the freezer rather than making it from scratch, it is ready for when you want it rather than having to put off what you want to make, it is a winter staple. 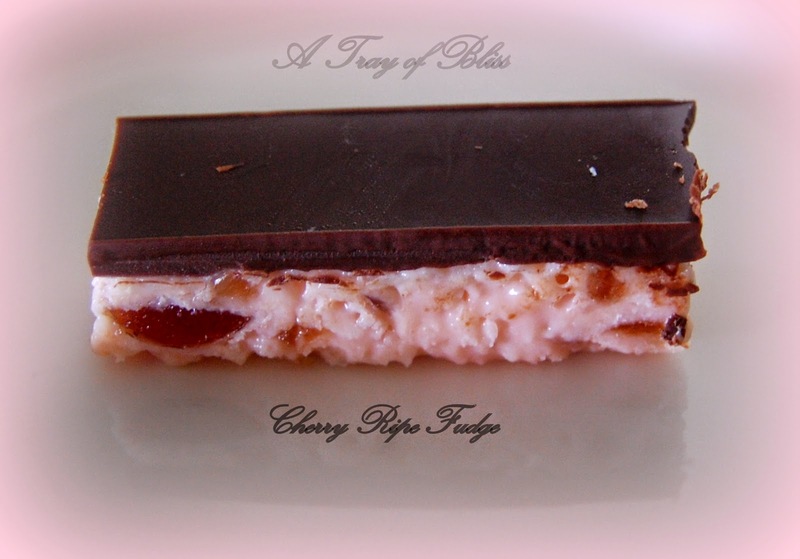 Cherry Ripe slice looks good and may be the thing for the girls to give mum for mother's day, along with a mug with the dry parts of 'cake in a mug' and the recipe. Will do a test drive over the next holidays. 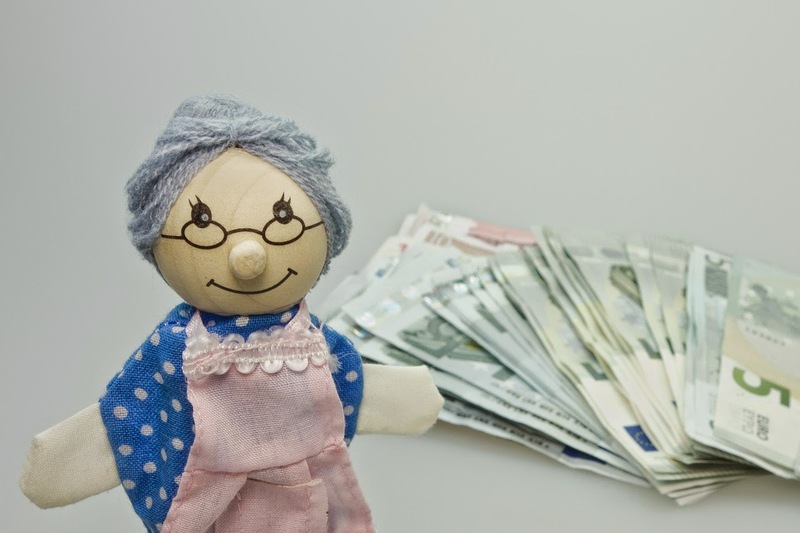 It is so true if you put your mind to things you can actually save quite a bit of money. All your cooking sounds delicious and interesting. I've heard of cherries and fudge but never heard of cherry ripe fudge. It is very pretty. My husband uses a powdered Gatorade when he bike rides. The powders are cheaper and don't take up nearly as much room as the bottled drinks. I am glad he prefers the powders. Sausage rolls are food of the Gods, I tells ya. I have discovered the trick of making cookie dough, then making a sausage of it, then wrapping and freezing, to slice off and bake as needed.